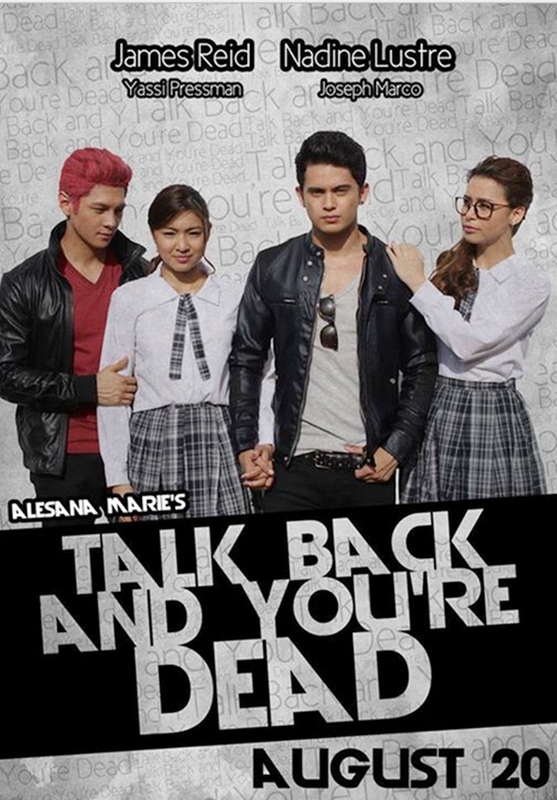 Talk Back and You're Dead The Movie starring Viva babies: James Reid, Nadine Lustre, and Yassi Pressman. I was able to met the casts of ‪#‎TBYD‬ during the #TBYD blog-con last August 16, 2014. All of them are amiable and sincere with their answers. James Reid and Nadine Lustre read the book. That is cool. All the bloggers were #Kilig when James Reid said that it took a couple of kisses before he became at ease with Nadine. For sure, James Reid #Abs will be displayed once again in this movie! So, watch na! Go! Talk Back and You're Dead is Rated PG by the MTRCB and Graded B by the Cinema Evaluation Board (CEB). #TBYD. Let's all watch the movie, and find out why Nadine Lustre cried when she read the last part of the book. Showing in theaters nationwide on August 20!